Obituary for Margarita A. (Azzarello) Bosco | Giunta-Bertucci Funeral Home Inc.
Margarita (Azzarello) Bosco, 83, formerly of New Kensington, died March 15, 2019 in Harbour Senior Living of Monroeville. 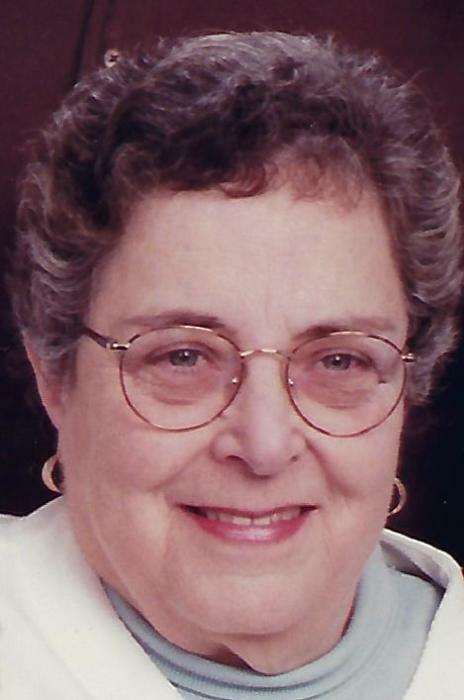 Margarita was born in Pittsburgh on July 19, 1935 to the late Vincent and Mary (Arrigo) Azzarello She was the wife for almost 54 years to the late Joseph V. Bosco. Besides her parents and husband, she was preceded in death by her brother, Vincent S. Azzarello. Surviving are two daughters, Joanne Bosco, Lansdale, PA and Gina Bosco (Stan Siewert), Caldwell, ID, and Valerie Pysnik, Murrysville, a loyal niece who was devoted to her care and well-being. She is also survived by many nieces and nephews. Marg grew up on the North Side of Pittsburgh with her parents and Vince, an older brother whom she adored, her favorite dog, Lucky, and a short-lived chicken, Gladys. She attended Holy Ghost (now Holy Spirit) High School. Both the Azzarello and Bosco families attended Mary Immaculate Catholic Church, which is where Marg met her first husband, Joe. Marg and Joe married in 1955, and lived in Aspinwall before moving to New Kensington to raise their family. After 49 years in New Kensington, another move took place to Lighthouse Pointe Independent Living in O’Hara Township. She remained at Lighthouse until August 2018 when health issues required more attention and she made one final move to Harbour. Margarita worked full time raising her two daughters. She was a Girl Scout leader. Marg delivered Meals on Wheels, volunteered at the church Food Bank and Trash & Treasure Sale, helped at Italian Day and she became an Extraordinary Minister of Holy Communion. She also had a brief stint in “show business” as her husband Joe described working at the local Comcast business office. She also enjoyed knitting, quilting, doing needlework, traveling, and an occasional drink of Amaretto. Over the years, Margarita had special relationships with a few selected cats, who spent quality nap time in her lap. In New Kensington, Marg enjoyed playing cards and was a member of a neighborhood Card Club, a smoky, raucous, monthly gathering of 8 women who played 500, ate good snacks, conversed and laughed into the wee hours of the night. Bingo, jewelry making and watercolor classes were Marg’s favorite activities at Lighthouse. In her last years, Marg was never far from a word search book, and enjoyed chocolate in various forms many times each day. Margarita always found change to be difficult. Yet, she was happiest when surrounded by family and friends. Marg has joined a group of family and friends that she had not seen recently. Although we will miss her and do not like this change ourselves, her family hopes she enjoys her longed for reunion. Friends and relatives will be received from 2 to 4 and 7 to 9 p.m. Thursday, March 21, 2019, at GIUNTA-BERTUCCI FUNERAL HOME, INC., 1509 Fifth Ave., Arnold. A Mass of Christian Burial will be at 10 a.m. Friday, March 22, at Mt. St. Peter Roman Catholic Church, 100 Freeport Rd., New Kensington. Interment to follow at Christ the Redeemer Cemetery, Ross Township.